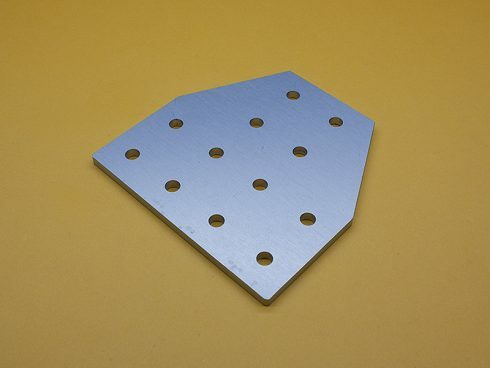 10 Series 12 Hole Tee Joining Plate, TNUTZ Part #JP-010-N. 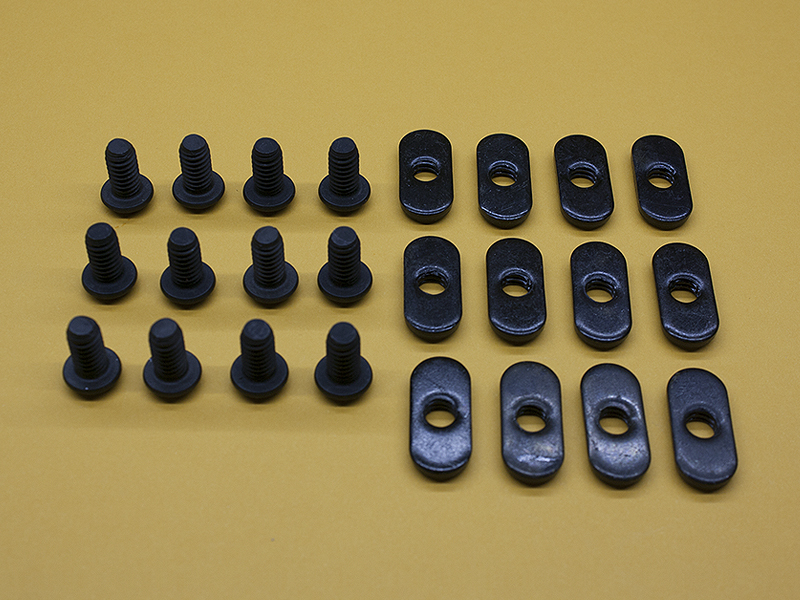 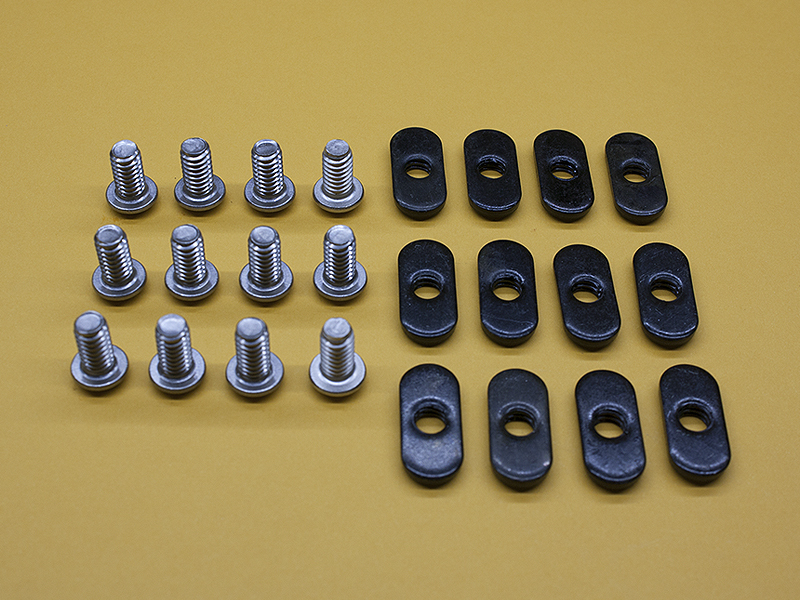 These joining plates will fit in the 10 Series (1″) extrusions. 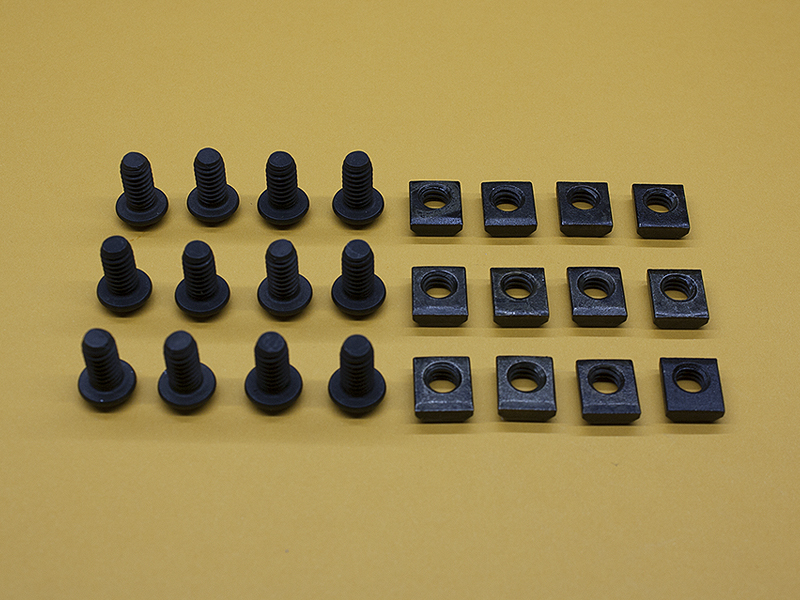 The dimensions are 4″ x 4″, and a thickness of .188″ (3/16″). The holes are Ø0.281″, 1″ between centers. 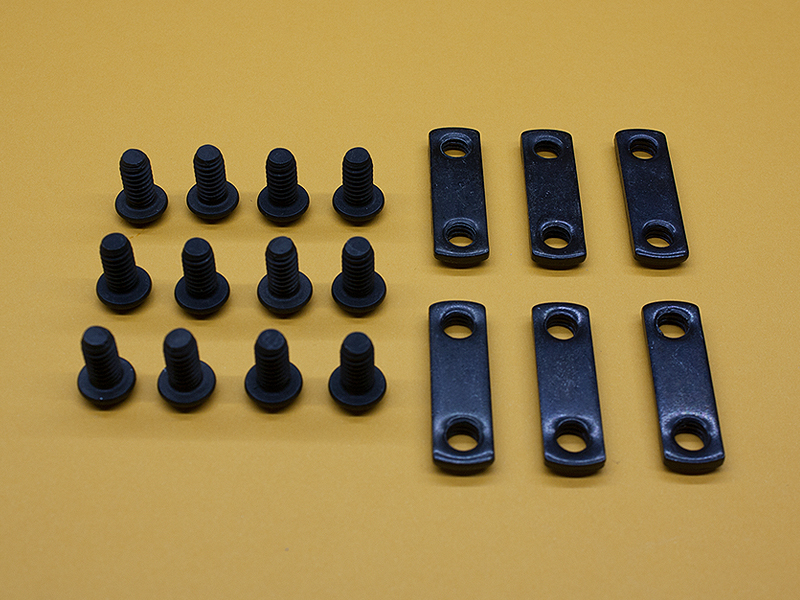 They are compatible with most 10/25 Series or 6mm T-Slotted Extrusions.